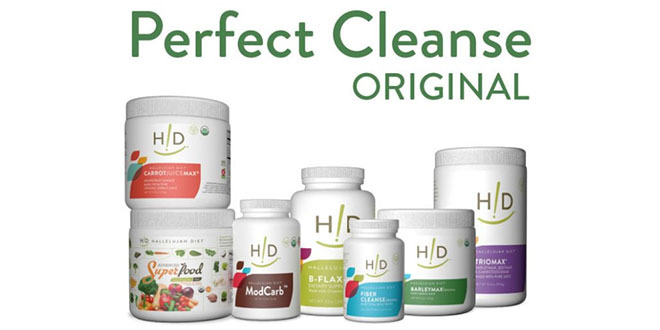 A plant-based diet offers the healthiest way to go when it comes to maintaining optimal health. 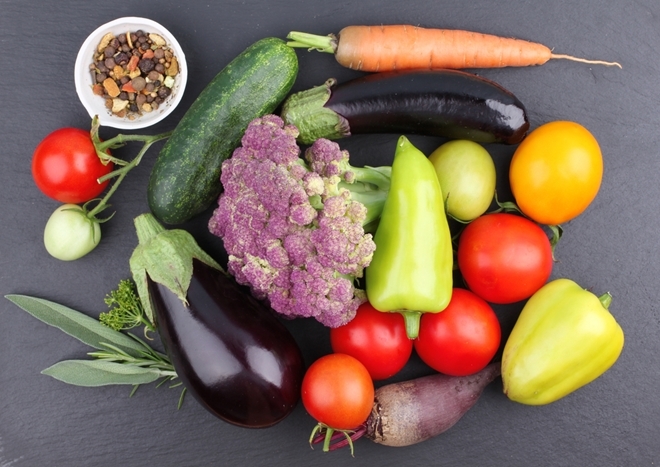 There’s even more to be gained from eating fruits and vegetables in their natural state or raw. Juicers make it possible to reap the maximum nutrient benefit from a plant-based diet. 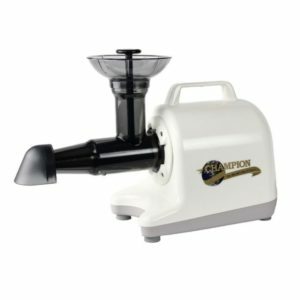 The Champion Juicer is a top of the line product that makes it easy to work with fruits and vegetables no matter the form or texture. Manufactured by a reputable company, the Champion Juicer is built to last. With the Champion Juicer, adding variety to your diet is a breeze! What’s So Special About Juicing? Fruits and vegetables contain a rich supply of the nutrients and enzymes the body needs to function at its best. Enzymes, in particular, are the “living” components of a plant-based diet that benefit the body so much. Whether eaten raw and whole or raw in juice form, the nutrient value cannot be beaten by any other type of food. Juicing takes a raw, plant-based diet to a whole new level. In juice form, the nutrition value of fruits and vegetables is compounded. An example of this compounding effect can be seen in how it takes a pound of raw vegetables to make eight ounces of juice. In effect, a glass of juice offers multiple servings of fruits and vegetables in liquid form. There’s no better way to reap the health benefits from these God-given foods! Can be used for both juicing and homogenizing. Has a durable product design. Produces high yields from hard, fibrous produce and also from leafy greens with the greens auger blade. Is manufactured by a family-owned business in the U. S. A. 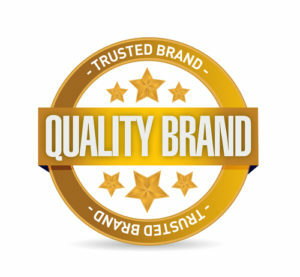 Has reliable product support from the manufacturer. A good many of the masticating juicers on the market use an auger design that processes food by crushing, pulling, and pushing it through a strainer apparatus. These designs also tend to come with slow motors that run anywhere from 50 to 100 RPM. The Champion auger mechanism not only does what other juicers do but also has teeth which cut and shred. This added feature, coupled with a more powerful motor that runs at 1725 RPM, accounts for why the Champion delivers higher yields than other juicers. Depending on the type of fruit or vegetable you’re working with, a good amount of time can be spent on prepping the food for the juicer. This prep time entails chopping the food up into a size that the juicer can process. With the Champion Juicer, any food item that fits into the feeding chamber can be processed as is. For foods like celery and carrots, this added convenience eliminates the amount of prep time required for other juicers. Considering the wear and tear juicers undergo when used on a regular basis, only those with a sturdy construction will stand the test of time. The body of the Champion Juicer is made of durable BPA-free polycarbonate which won’t chip or fade and includes a handle to safely carry it. All of the juicer parts that touch the juice are made of BPA-free nylon as well. The 1/3 hp motor is rated for continuous use and has been known to run for more than 30 years. The manufacturer of the Champion Juicer, Plastaket, back its product with a 5-year warranty. The Champion brand has a long-standing history in the United States that dates all the way back to the 1930’s. With over 50 years in the juicer business, Champion brand juicers were the very first to be produced in this country. As a family-owned business that only manufactures juicers, this has allowed the company to continue to offer a quality product along with top-notch customer service. They provide product support by phone, snail mail, and through a contact form on their website. Plastaket also interacts with customers through Facebook and Instagram. All in all, when it comes to juicing, you don’t want to get stuck with a product that can’t handle the job. We love the Champion Juicer because its specialized design makes the juicing process so much easier. Its ability to deliver high yields from processed food gets another check mark. Last, the Champion’s design is built to withstand daily use, and the manufacturer stands behind its product. If you’re in the market for a juicer, you can’t go wrong with the Champion Juicer! Some people love the Champion Juicer. I do not. It is great for carrots, but I don’t juice many carrots. My favorite juicer is the Green Star. I do agree the Champion is very well constructed and will work a long time. Thank you for the information. I have heard great things about the champion juicer. Its good to know the company will stand behind its product. There are so many things that can be made with the champion juicer: veggie dips like hummus, guacamole, and salsa, vegetable or fruit juice and beverages, baby food, pet food and soups. Champion is a brand that will last for many years of use. People who juice mostly carrots prefer the champion juicer. It is easy to juice carrots with the Champion juicer. Hi are you still training Health Ministers? & do you still have your Lifestyle Centers? I was wanting to recommend one to a neighbor who has cancer. All Hallelujah Diet Health Minister Training is on-line now. Sign-ups are only through the call center: 1-800-915-9355, M-F 8am-6pm and Sat. 9am-4pm EST. The cost is $495. I am so sorry to hear about your neighbor. Unravel the Mystery Book and companion recipe book offer great information about cancer. Shipping on the Champion is expensive because it is heavy. I would recommend emailing the company that makes the Champion to find out your options.